Hello! 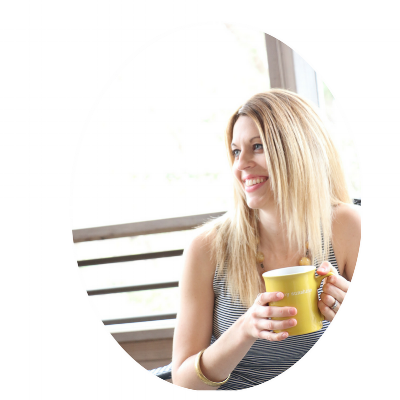 I'm Ali, and I'm the Holistic Health Coach behind Authentic Balance. I'm a mama to two, a wife, a daughter, a sister, a friend, a business owner, and a former wanna-be superwoman. I am a born and raised Wisconsin girl, turned Minnesota girl ...thanks to my hubby. I work every day to write MY story...and that is what I wish for you as well. My family and faith is what motivates me. Seriously...I know that may sound totally cliche, but I literally get chills when I think about it. Each day I decide to wake up with a burst of energy to live THIS life. This simple life...that I have created for myself. I make the conscious choice to feel this way, and to look at life with a perspective that feels like FREEDOM. For as long as I can remember, I've been passionate about helping and supporting others- friends, family, co-workers... and random strangers alike! I want to truly make a difference in the lives of others, to say "yes" and to do it all. This heart and drive that I have to go above and beyond for others, came out in ways of being a complete people-pleaser. My self sabotaging behaviors caused me at times throughout my life to be completely exhausted, irritable, in pain, seeking outside validation, overwhelmed, and out of touch with my sense of SELF. From distorted body image, to trying to 'blend in to the crowd,' to eating disorder, to excessive partying, to constantly placing judgment on myself, and of course, always striving for perfection in EVERY aspect of my life. I was endlessly defining myself by what others thought, my emotions, my actions, outcomes and so on. Talk about very lost with a BIG heart. And the funny part is that I have always had the desire to find the healthiest way to live so that I could inspire others. This was a little voice inside my head that I would dance around. I would listen to it here and there...but then the noise of the outside world would take over. I allowed it to be much louder than my intuition. No wonder I hated being alone...it was confusing. At one point in my life, equating health with diet alone, I counted calories and planned my days around what I was "allowed" to consume. I would obsess about it...thinking about it continuously as I was in class, hanging out with friends, studying, watching TV...it was CONSTANTLY on my mind. And each day I was eating less and less. And was a total ball of emotion. I was completely lost in a simple task that most people didn’t think twice about… eating. It was an innocent path that I stumbled down, and fortunately I had some amazing friends that sat me down and encouraged me to face my demons. And that I did. I went on a self journey for many years that allowed me to realize that food alone isn't the answer to health, wellness, and vitality. I needed to find ways to achieve balance so that I could be the best version of myself. Today, I've found that elusive balance that I was seeking. I am able to nourish my body in a way that I can still give quality time to my loved ones, carry out my passion for eating a balanced clean diet, and live true to myself and to my values and priorities in life. I am not perfect not do I strive for perfection…I am who I am and LOVE this mind, body & spirit that I have been blessed with. I am extremely grateful for every part of my journey thus far. I believe that without it, I would not have learned the lessons that I needed to learn in order to live this life of freedom...and help others do the same. What Does "Authentic Balance" look like? To me, authentic balance is all about your journey to finding your own truth, your own voice. We are all unique and beautiful in our own way and therefore the food we need to nourish our bodies, the physical activity that we need in our lives, the careers that we choose, and the actions that we take each day are unique to us as individuals. Each has an impact on the health of our mind, body and spirit. Authentic balance means finding the inner peace to drown out everyone else's opinion, the latest food fads, the newest exercise routine, and become comfortable enough with your own body to discover what it is that you need to live your best life! As the holistic health coach behind Authentic Balance, I am so fortunate to be able to empower and support amazing people like you. As your coach, I'm committed to using proven, holistic methods to guide and inspire you to choose the more nourishing aspects of your unique life. It is a true passion of mine to be able to walk alongside my amazing clients and watch them re-write their own stories. We all have this amazing opportunity to acknowledge where we've been in our past, acknowledge the person and spirit that we were born as, and move forward with a sense of freedom and intention. And it all starts with a commitment and a plan. Do you find yourself nodding in agreement with my story? Are you craving balance in your life and freedom from fatigue, pain, and overwhelm? yes, tell me more please! Fill out the form below to schedule your complimentary 15 minute discovery session today! I cannoooot wait to chat with you! I am Certified as a Holistic Health Coach through The Institute for Integrative Nutrition in New York City, and also hold a Bachelors of Science in Exercise and Sport Science from UW-La Crosse. I have been working in the alternative health care industry alongside Naturopathic Doctors, Chiropractors, Acupuncturists, and Massage Therapists for over five years.